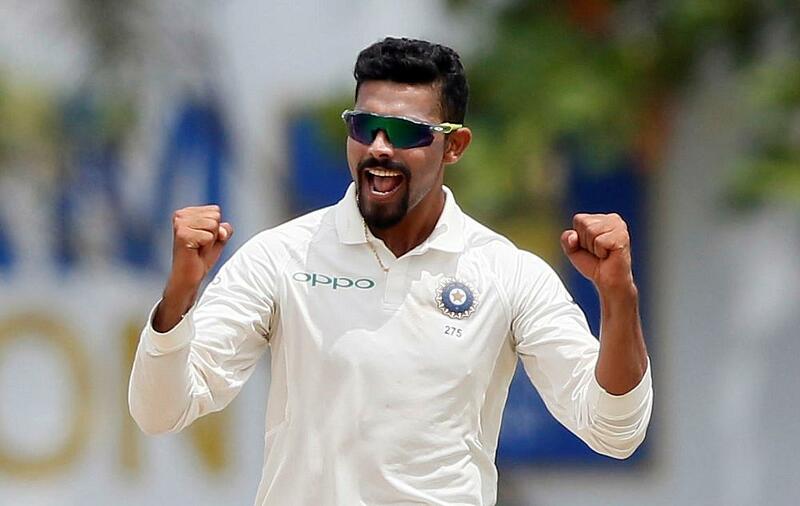 For claiming a seven wicket haul and scoring a fifty to help India seal an innings victory in the second Test against Sri Lanka in Colombo, Ravindra Jadeja is the Cricket World Player of the Week. After India won the toss and decided to bat first, Cheteshwar Pujara and Ajinkya Rahane scored determined centuries while Lokesh Rahul, Wriddhiman Saha and Ravichandran Ashwin also contributed with half-centuries as the visitors were on course for a huge target for the second time in the series. Jadeja rallied with the lower order and and smashed an unbeaten 70 off 85 deliveries that had four boundaries and three sixes to help India post 622 for nine before the declaration came. 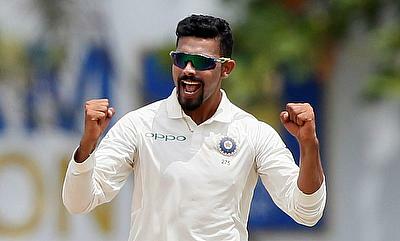 Jadeja, who picked two wickets in the Sri Lanka's first innings played a pivotal role in the second innings when the wickets were hard to come by. Centuries from Dimuth Karunaratne and Kusal Mendis gave Sri Lanka a glimmer of hope to avoid an innings defeat but the Saurashtra all-rounder soon took control when the second new ball was taken and ripped the lower and middle order to complete the innings victory for India and more importantly the series. Jadeja's closest contender was Ashwin, who himself scored a half-century and claimed a five-fer in the first innings to set up the Indian victory. Jonny Bairstow did manage to pull England out of the woods in the first innings of the Old Trafford Test as they recovered from being 187 for five to a total of 362 runs but fell one run short of a deserving century. Kagiso Rabada also picked a four wicket haul in the first innings while James Anderson looked at his best with four wickets as England dismissed Proteas for just 226 runs in their first innings, thereby claiming a massive 136 run lead. Moeen Ali's unbeaten fifty in the second innings also played a pivotal role in extending England's lead to 360 runs at the end of day three. There were also special performances in the ongoing Caribbean Premier League. Brendon McCullum and Colin Munro scored fluent half centuries for Trinbago Knight Riders in the opening game while Chadwick Walton contributed with a 60 run knock in the second game for Guyana Amazon Warriors. Chris Gayle, Andy McCarthy, Kieron Pollard and Lendl Simmons also scored half-centuries in the opening week of the tournament while Mohammad Sami was impressive as he registered figures of 12 for four.